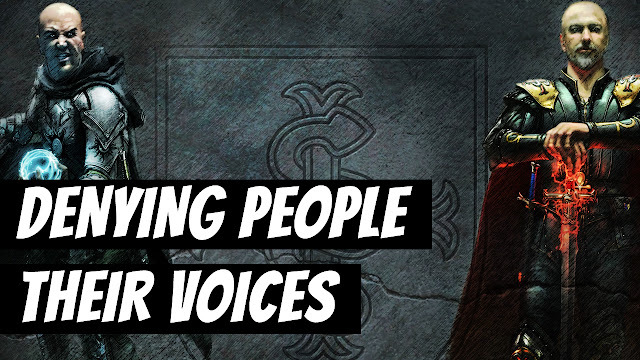 Denying People Their Voices • Shroud of the Avatar - KABALYERO - PLAY, BLOG & EARN! Why don't YOU stop trying to deny people their own voice, and just stay in your squalid little "independent" game with a tiny audience and let others be? Denying people's voices. Seriously, with today's internet and social websites, how is that even possible? I have no freaking idea. Some people are weird, just because I gave an opinion on their opinion about Shroud of the Avatar they now feel voiceless because I told them so? Guess what? It's 2018. Unless you're breaking any laws, no one can stop you from voicing your opinions on anything and that means you also can't stop anyone from voicing their opinions on your opinions.